When Luis Valladarez received his first seedlings as a gift, he put everything he had into nurturing them. Maracaturra is a fragile plant that’s very susceptible to changes in weather. Growing, harvesting and producing this lower-yield plant proved a time-consuming labour, but one that reaped golden rewards. The Buenos Aires farm coaxes complex, beautiful flavours of stone fruit and the sweetness of honey from this extremely rare coffee. The maracaturra varietal is what is known as a hybrid varietal. It is thought to have appeared in the 1800s from a naturally occurring cross pollination between maragogype, giant coffee beans, and caturra, one of the original arabicas planted throughout Central America. The family-run Buenos Aires Estate has been producing this coffee variety for over 30 years. The family of coffee farmers is known for experimentation using different processing methods and bean varieties to increase and enhance the cup attributes of their coffees. This coffee was the subscription coffee for January 2016 and was also sold at UK reserve stores. 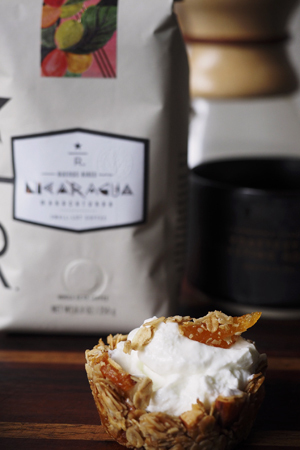 Nicaragua Maracaturra has become one of my favorite reserve coffees. First of all, I love the beans. They are enormous! Second the flavor profile has really captured me. Subtle floral sweetness with spice notes of clove and allspice woven together, and finished off with a creamy vanilla mouthfeel. This is a coffee that can go in so many different directions, from baking spices, to chocolate, to apples and nuts. It is one of those coffees you can almost pair with anything! 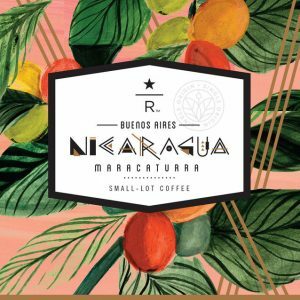 Nicaragua Maracaturra is back! I am pretty excited every time this one comes around, not because it’s my favorite (it isn’t) but because of the beans. They are HUGE. This is always a great conversation starter about varietals, and what these words that we see on the tasting sheets are; bourbon, typica, and so on. I’ll get to that in a minute, but first let me talk about something very important. If you have ever worked with me, you know I love to celebrate birthdays. I don’t know how or why this started, but it is honestly my most favorite thing. On Saturday, one of my partners has a birthday, except neither of us work on Saturday, so we celebrated today. Lisa loves and collects mice, so I wanted to do something special, just for her on her day. 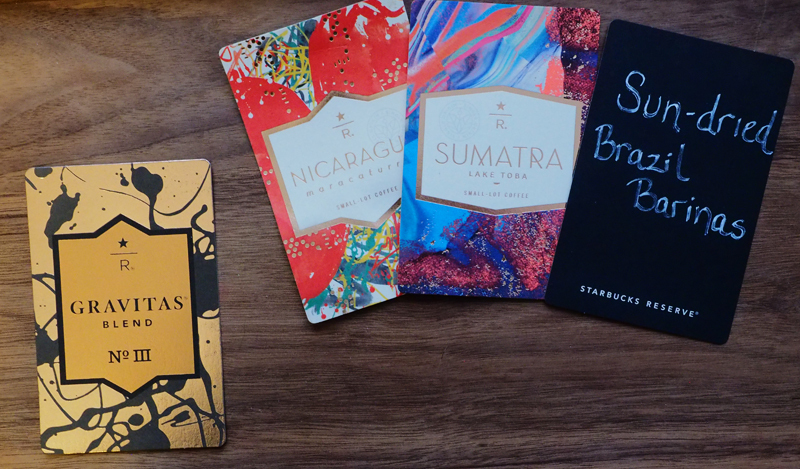 Nicaragua Maracaturra is the first reserve subscription for 2016! What an epic way to kick off the year! 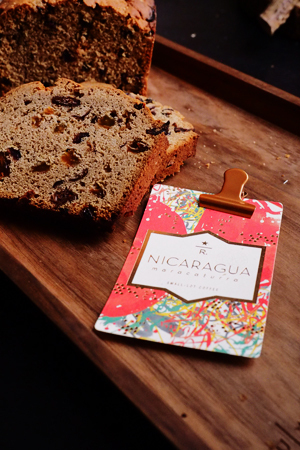 This coffee has sweet herbal aromas, with notes of peach, apricot and honey. 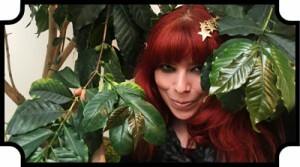 This is the second time Starbucks has offered this coffee, the first being in 2012. Before I get into the pairing, let’s talk about this long name this coffee has…. maracaturra. What does that mean? 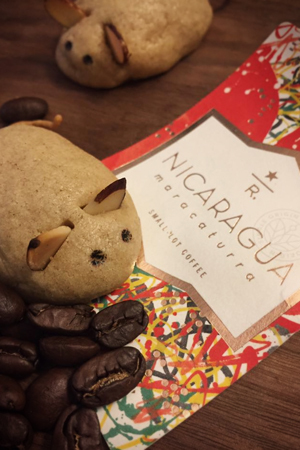 Maracaturra is a varietal, a naturally occurring cross between Maragogype and Caturra. Maragogype beans are also known as ‘elephant beans’; these beans are huge! It should also be noted that mara translates to crowded in Spanish. Once you see how large these beans are, try to imagine the cherries all on a branch. Crowded, indeed!